Great ideas! I love the pocket doors... wouldn't have thought of that. Is that subway tile in the bathroom Cascade, Frosted from Import Tile??? 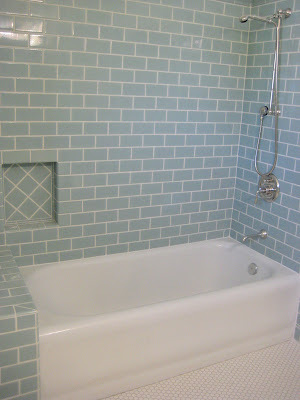 We got that tile for our bathroom, and are saving the tub too! 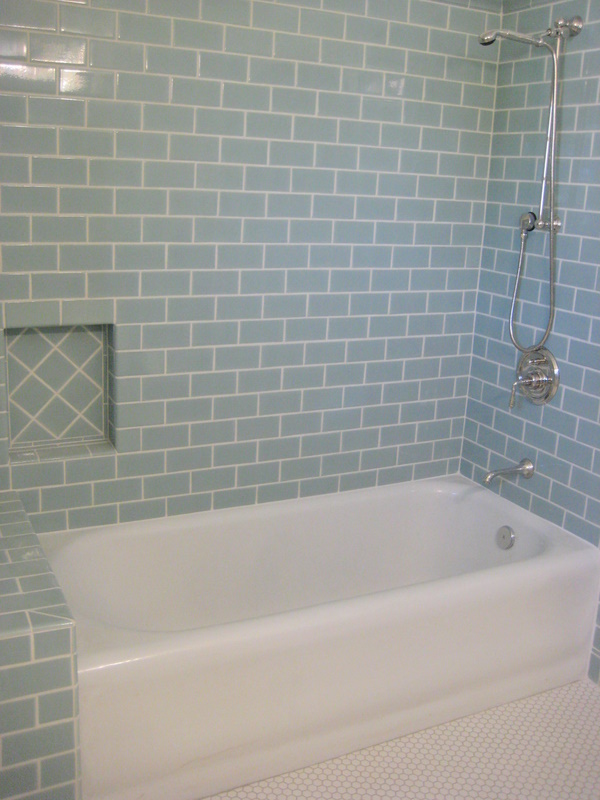 The subway tile is Ann Sacks Capriccio in Sky Blue Gloss, but it looks just like the Cascade from Import. I can't wait to see pics! Hi Shiloe. 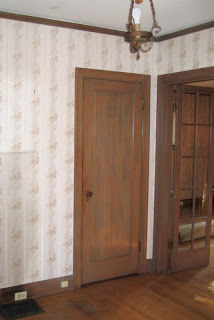 Thanks for stopping by my blog. 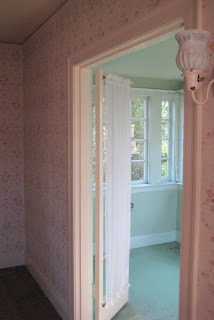 That bathroom is amazing - I love it! 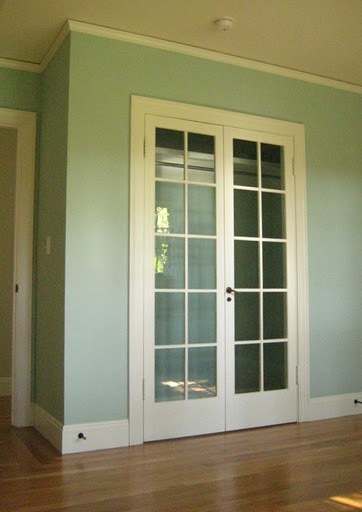 When you are remodeling, it is easier to replace than to rethink the space and reuse old components. In both your bedroom and bath remodeling, you were creative in mixing the old and new. 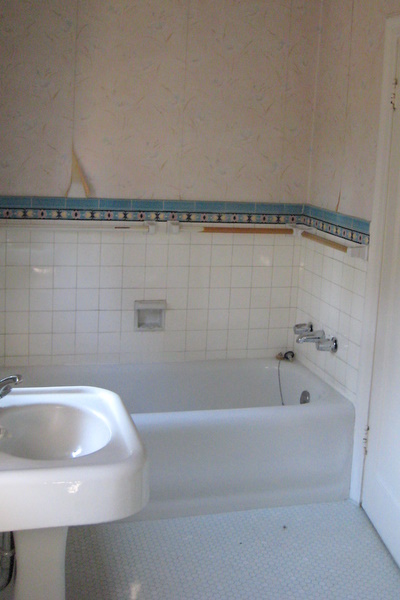 You kept the old tub, but tiled up to the ceiling when you added a shower. That subway tile is a nice touch, made even more interesting when you added the e soap alcove in square tiles set on the diagonal. Converting the doors to pocket doors is stroke of genius that saved space too. The only detriment? 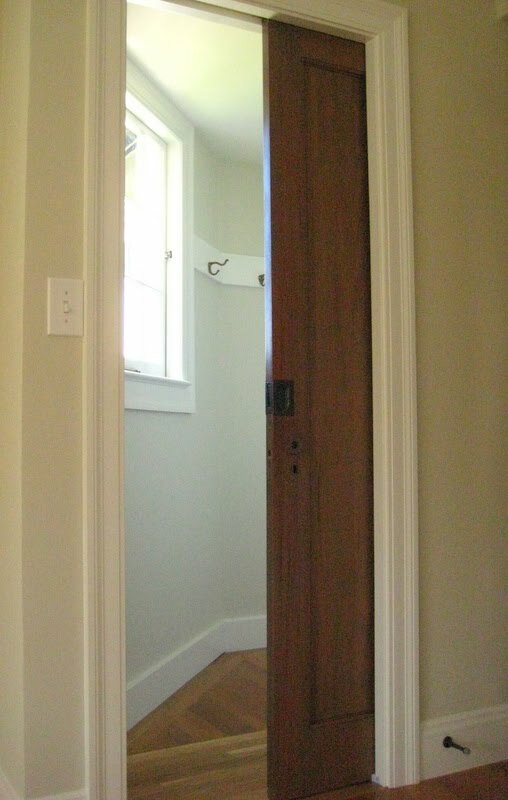 No place to hang the mix of robes, towels, and clothes that grace the bathroom doors in most homes!